Thank you for sharing this. I have a requirement like, I would like to display the user description instead of username - how can I do this ? 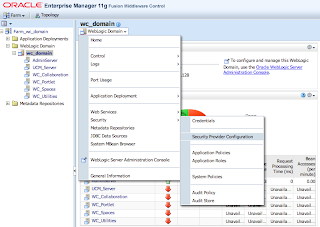 You would need to extend WebCenter task flow through MDS. I have tried this and it is working fine but now it has significantly slowed down our performance and it takes for every to login. Earlier when it was not vitualized, login was very fast. and the application slows down. I need to restart the server to run the application normally. One small update on the issue which I posted above. I was able to reproduce the error when 4 users hit a single server. I think the connection pool and other configuration in the weblogic has not been set correctly. Could you please tell me the best configuration parameters. 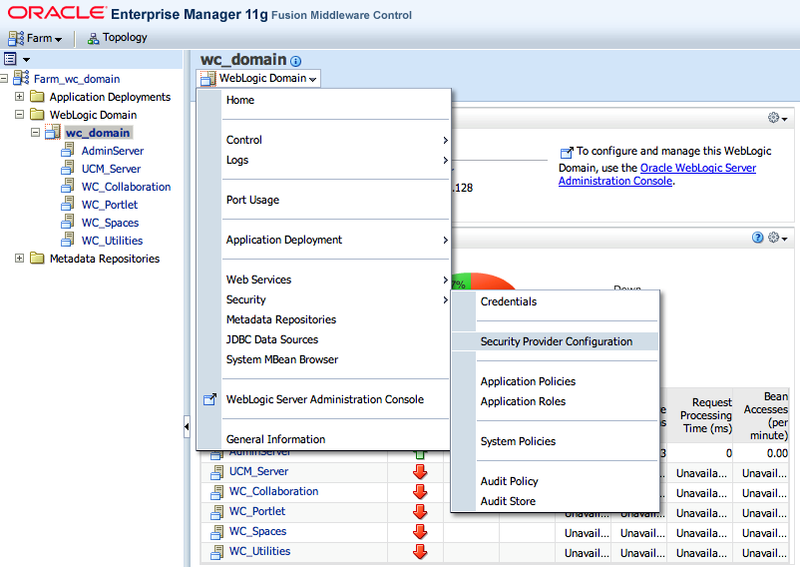 You are configuring WebLogic to retrieve user info from Active Directory? It is actually Local and not an Active Directory. 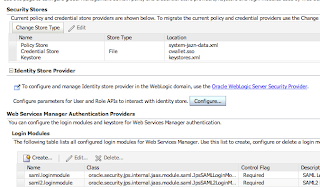 What is configuration settings for your WebLogic internal LDAP? If you increase Connection Pool size, still error is reproduced? I tried with connection pool size as 1 and 100. In both the cases we tried hitting single server from multiple machines but in both the cases the error is not occurring. It is working perfectly. Is this error because of Connection pool or any other parameters? Please give your suggestions? Honestly, hard to answer 100% correctly without working on your environment. Most likely misconfiguration issue. Thank you. Is there anything wrong with the parameters I've mentioned in my previous comments. It might be yes and might be no :) No way to say correctly without working on your system. ok. I'll check my configurations. Does the Weblogic support multiple AD domains ? We have more than one AD domain ( actually 6 of them). Does the same setup applicable in this case ? I have configured WNA (using SPNEGO and AD with Kerberos). But I am still prompted for the login and password. Do you have any steps which I can use to crosscheck. Yes, you can try it. 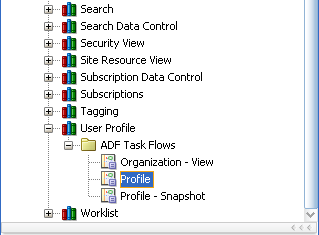 It should work for ADF app, i was testing with WebCenter portal - it was working. I dont have test case with spnego. Thank you Andrejus! This solution with virtualization is exactly what I was looking for. 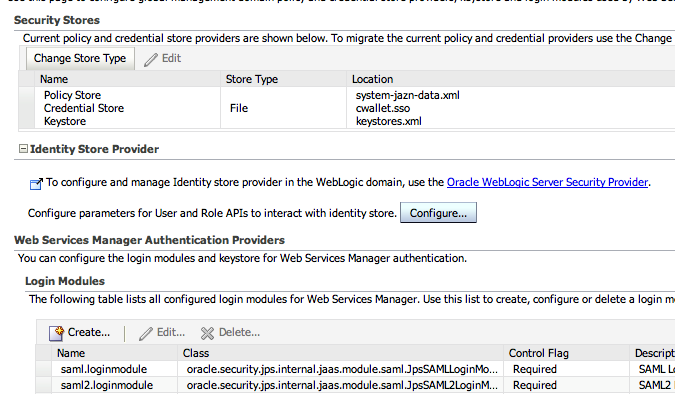 Will this solution works when i user OAM for SSO also ? in this case the first provider is the OAM Identity Isserter. Hard to say, this would require a test. Did you crack OAM thing, we are also in the same situation. we need to use OAM and 2 authenticators. I don't know, this would require to do a test on your environment. I have OVDProvider (DB Adapter) on my first list and DefaultAuthenticator on the second list. When I'm login into portal using user from OVD Provider. It always produce log: " ". Thank you for this share. It was very helpful for me.